Everyone got the update on Danny’s Lyme Disease Diagnosis, but we forgot to report the answer to prayer. Danny has been doing remarkably well concerning his Lyme disease. He has been checking in with his doctor at Longevity Health Center and taking the prescribed homeopathic remedies and supplements. Since his diagnosis he did a three day water fast, followed by 10 days of just liquids/smoothies, followed by the 21 Day Daniel Fast. This type of eating did wonders for his energy level, focus, and it caused the body achiness to subside, with just headaches and sleeplessness still lingering. In that time, we also had a Celebrate Grove Park celebration in which there was an extended time for healing prayer. There was a marked difference in him after that time! Praise the Lord for His healing power and the amount of energy and focus that Danny has had despite his body fighting off this disease. The past month old eating habits have started to creep in and our most recent Memorial Day vacation didn’t help, and symptoms have started to return. Please pray that he (and we as a family) will Eat to Live, and enjoy the amazing foods God causes to grow from the ground to nourish and heal us. We have four house churches simultaneously meeting on Sunday evenings, with a meal, worship, teaching and prayer occurring. We praise the Lord for our house church leaders! They open their homes weekly to anywhere from 5-25 children, teens, and adults in order for the word of God to be studied by their guests. Would you pray for hearts that “do not grow weary in doing good but have confidence that they will reap a harvest if they do not give up”? These leaders offer hospitality in the midst of full time jobs, families, other ministry commitments, and their own hectic lives. 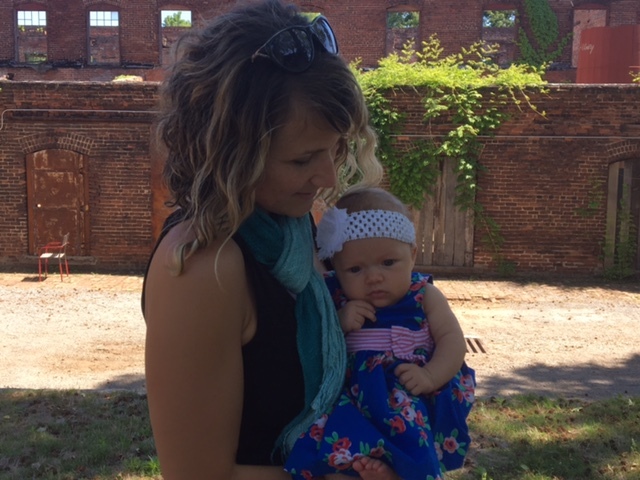 We did lose some momentum in the wake of Gwennalyn’s birth and having to move our family’s Shalom house gathering to another home for two months while Kimberly recovered and Gwennalyn built up her immune system. The May Celebrate Grove Park consisted of 35 children and teens, many without parents in attendance, which was a bit overwhelming, but a great sign that our summer camp initiative is exactly what we need to be focusing on this summer. 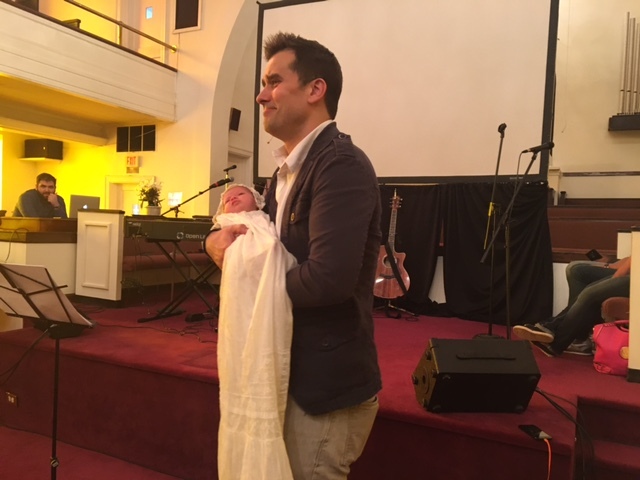 The joy of this little girl and the absence of postpartum depression was worth a temporary ministry setbacks, and we believe we still made the right decisions. Daniel Josiah (5th), Trinity (4th), Katy-Grace (2nd) and Benjamin (K) all finished school with flying colors. We are thankful for their school, Westside Atlanta Charter School, and for all the families, teachers and administrators that truly form a beautiful and diverse community and family. The school is made up of a vast array of ethnic and socioeconomic backgrounds, and we feel that our children are benefiting from the rigor of the education as well as the many different people they learn alongside. Both Daniel Josiah and Trinity made it into the end of year talent show and they were excited to perform in front of us all. This summer the kids look forward to participating in all the different camps and activities that Restore Life and Shalom City are facilitating for the community kids. Would you consider sponsoring one of their neighborhood friends, so that they can join in the fun, discipleship, and development that will occur? Check out this video that newscaster Katy-Grace was featured in. And if you want to see the original Operation End the Boredom (our summer camp video) click here. To sponsor a child go here. For the past two months, fourteen key leaders have been going through a discipleship launching curriculum with the intention to start discipleship groups this fall. The goal is to have 3-5 people commit to walking closely with one another in a group as they study Scripture, pray for one another, and live on mission in whatever sphere of influence they are in. This weekly time of spiritual encouragement is absolutely key in growing people up on the faith and helping people become leaders and agents of change in their community. Please pray for wisdom as we ask the Lord who exactly to pour our lives into. Please pray that Scripture-studying, God-seeking, influence-making groups would rise up all around our neighborhood that keeps multiplying far beyond our immediate sphere of influence. This is the only way lasting change will occur in this region of Atlanta. “Nevertheless, the time will come when I will heal Jerusalem’s wounds and give it prosperity and true peace. 7 I will restore the fortunes of Judah and Israel and rebuild their towns. 8 I will cleanse them of their sins against me and forgive all their sins of rebellion. 9 Then this city will bring me joy, glory, and honor before all the nations of the earth! The people of the world will see all the good I do for my people, and they will tremble with awe at the peace and prosperity I provide for them.